You don’t have to tolerate sensitive teeth and wince when you sip a hot coffee or sink your teeth into soft, cold ice cream. 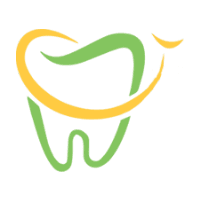 At PDADental in the Financial District, Lower Manhattan, New York, the close-knit group of dentists offer individualized care and can help you determine the root cause of your sensitive teeth and the best way to treat the problem. Call PDADental or book online today to get started. Below the outer layer (enamel) of your teeth is the softer dentin layer. If the dentin becomes exposed, you can experience tooth sensitivity. This typically happens where the gum and tooth meet, and the enamel layer is much thinner. Sensitive teeth can lead to anything from mild twinges to severe discomfort that lasts for several hours and keeps recurring. Tooth sensitivity can also be an indication of more serious dental problems. When are Teeth Most Likely to be Sensitive? Sensitive teeth are more common in women and in people between ages of 20 and 40. You’re more likely to experience this sensitivity when you’re eating or drinking something particularly cold, hot, acidic, or sweet, or from cold air catching your teeth. If you’re not finding relief for your sensitive teeth and have concerns about your oral health, you should visit PDADental for a checkup. What are the Treatments for Sensitive Teeth? The treatment depends on what’s causing your sensitive teeth. During an examination, your PDA dentist discusses your symptoms and evaluates your teeth to determine the cause of the sensitivity. Treatments can include the use of desensitizing dental products or procedures like dental bonding for a chipped tooth. Your PDA dentist can apply fluoride rinses, gels, or varnishes to soothe sensitive teeth. These can be painted onto your teeth at regular appointments spaced 1-2 weeks apart to help your teeth build up some protection against sensitivity. To effectively cover exposed dentin, your PDA dentist can recommend sealing or filling around the neck of your tooth where the gum and tooth meet. Your PDA dentist can also recommend special toothpaste and products you can use at home as part of your dental self-care routine. If you grind your teeth, especially at night, you might need a mouth guard to prevent tooth damage and the resulting sensitivity. Call PDADental to strengthen and protect your teeth or book online today.